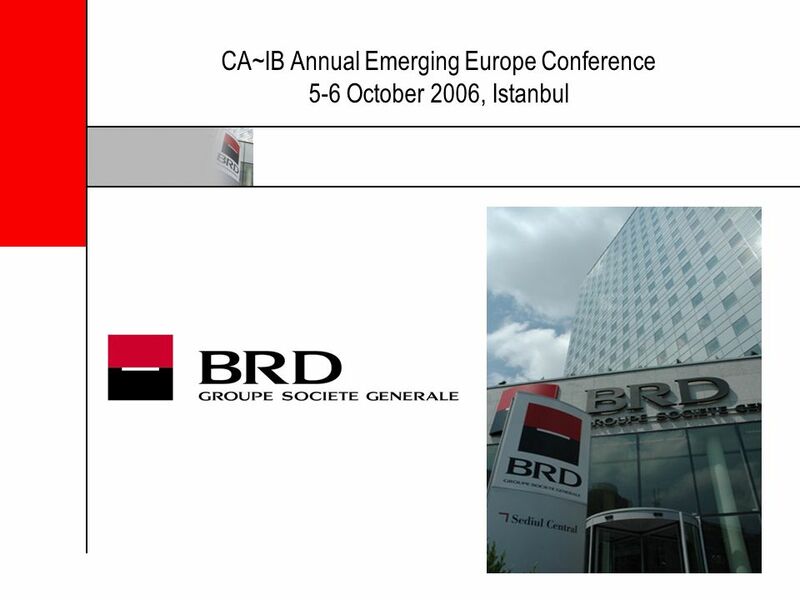 CA~IB Annual Emerging Europe Conference 5-6 October 2006, Istanbul. 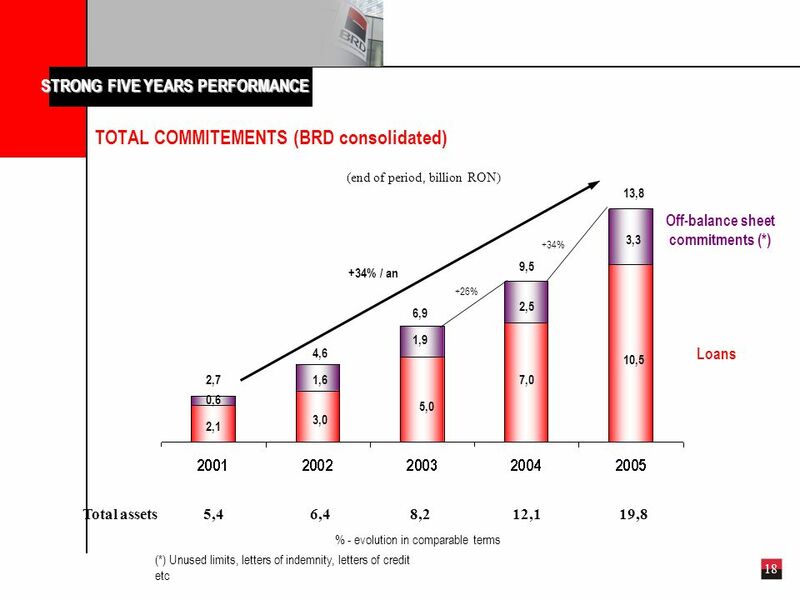 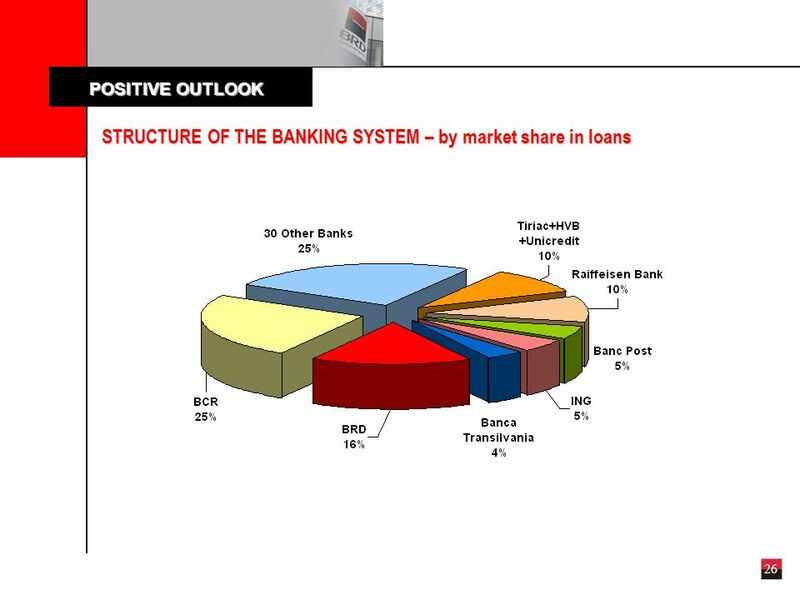 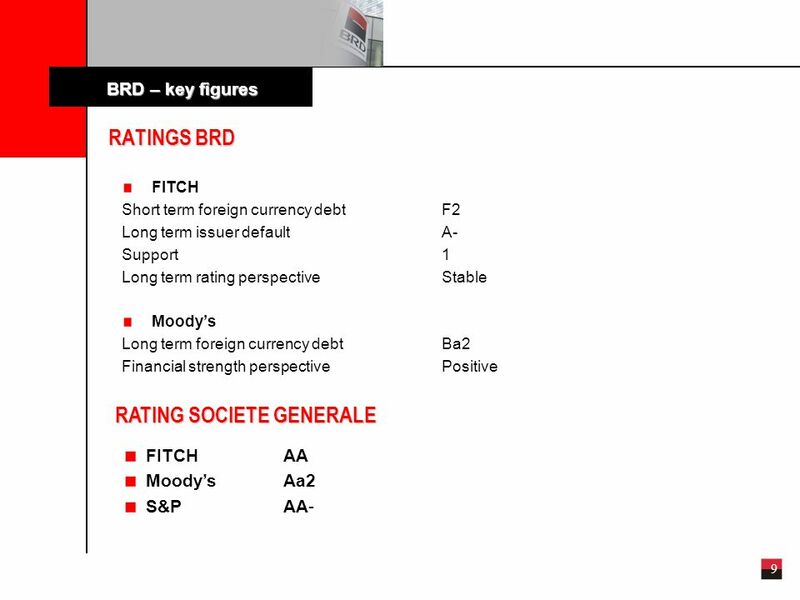 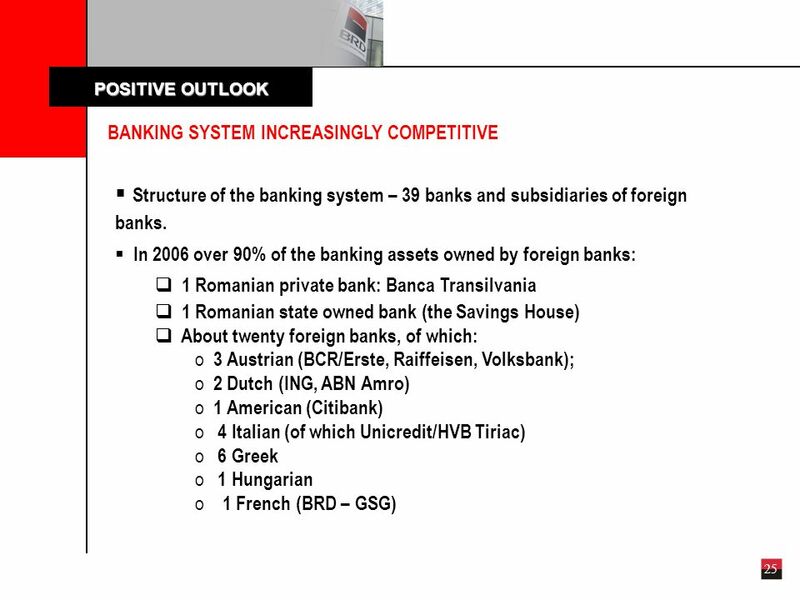 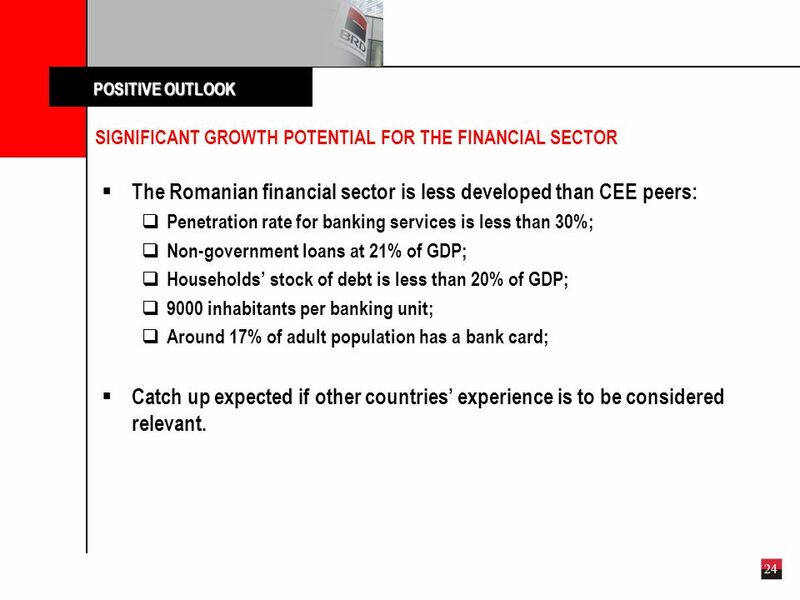 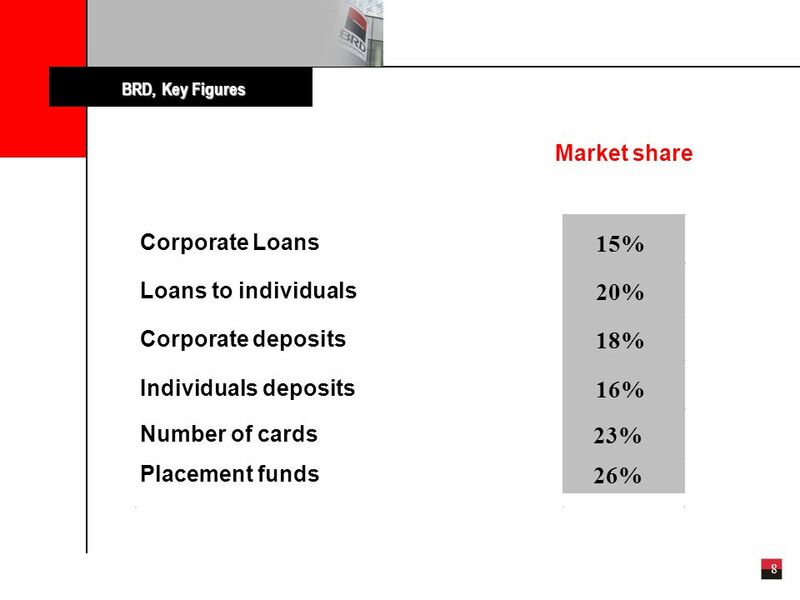 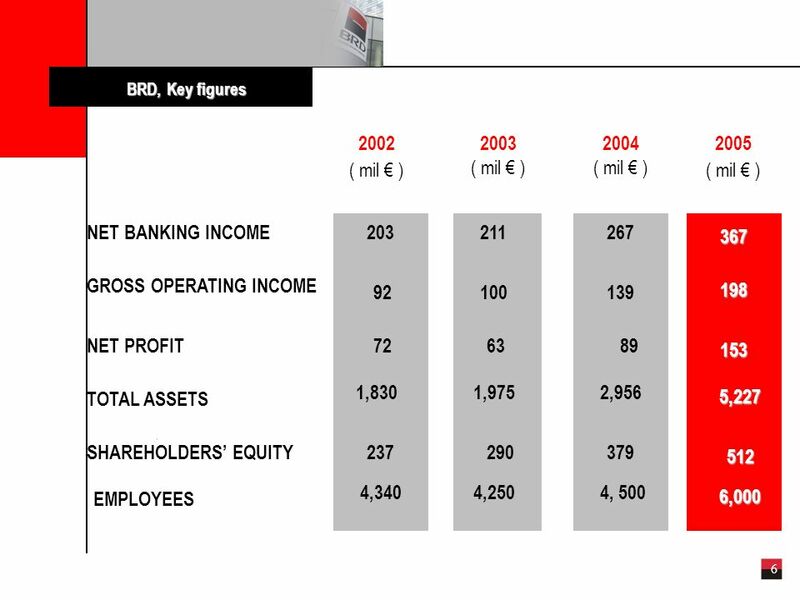 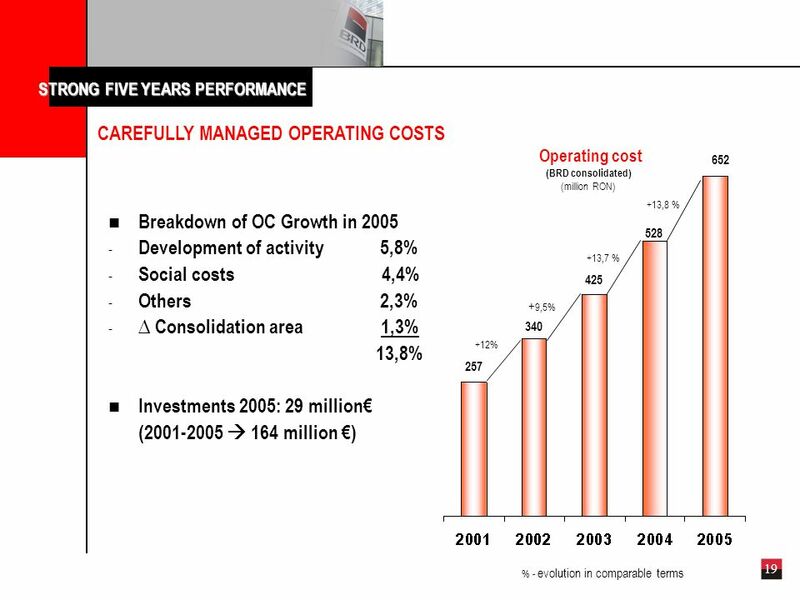 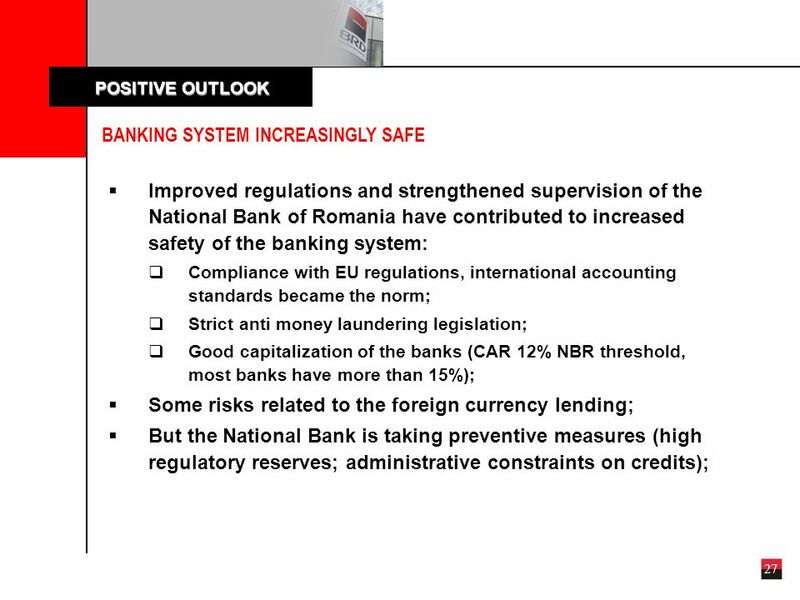 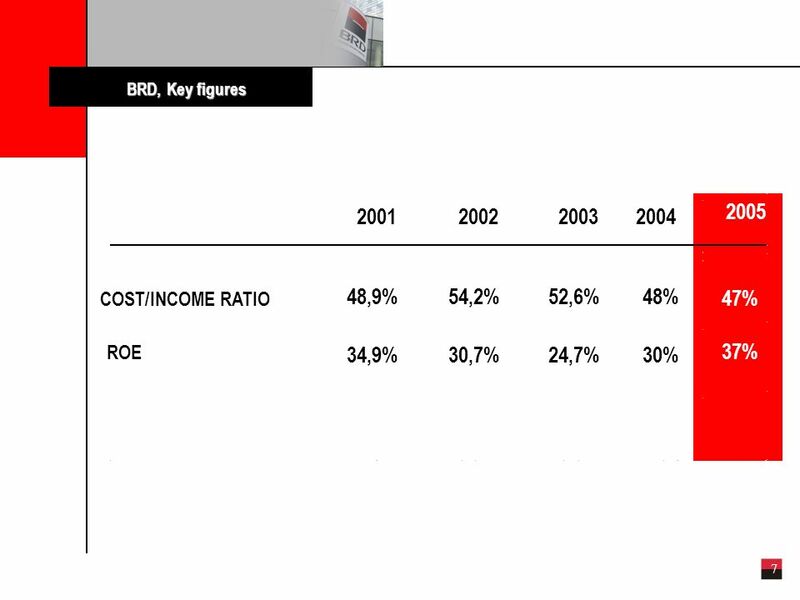 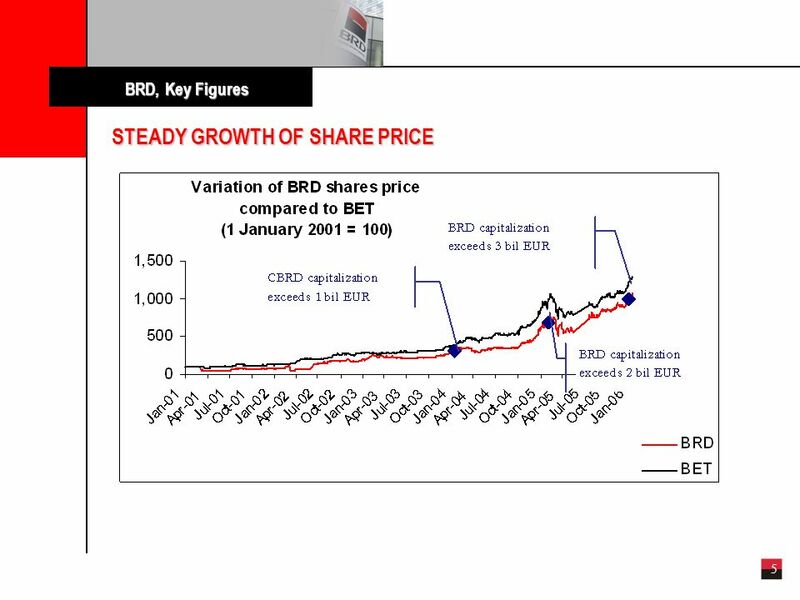 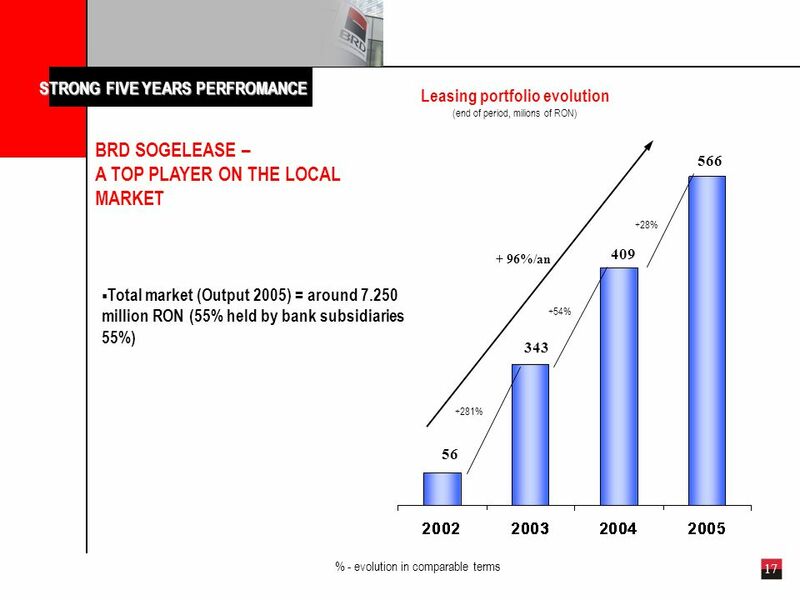 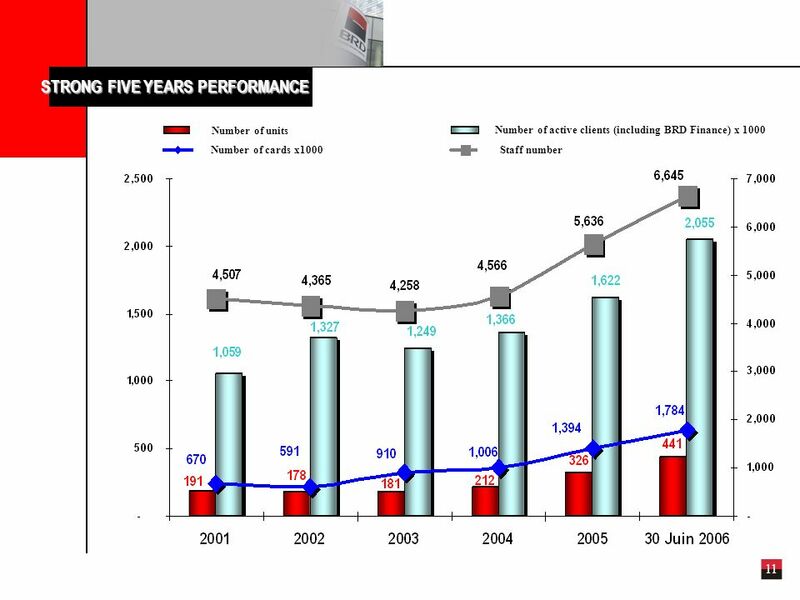 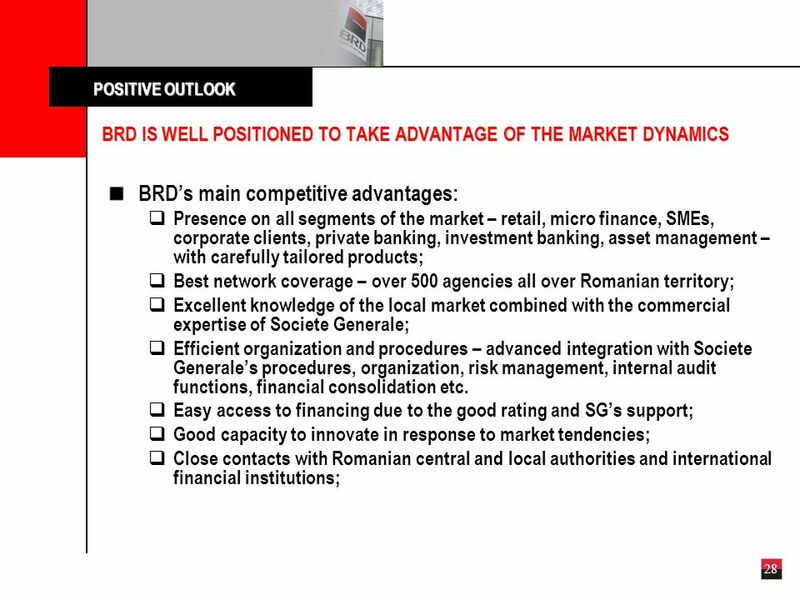 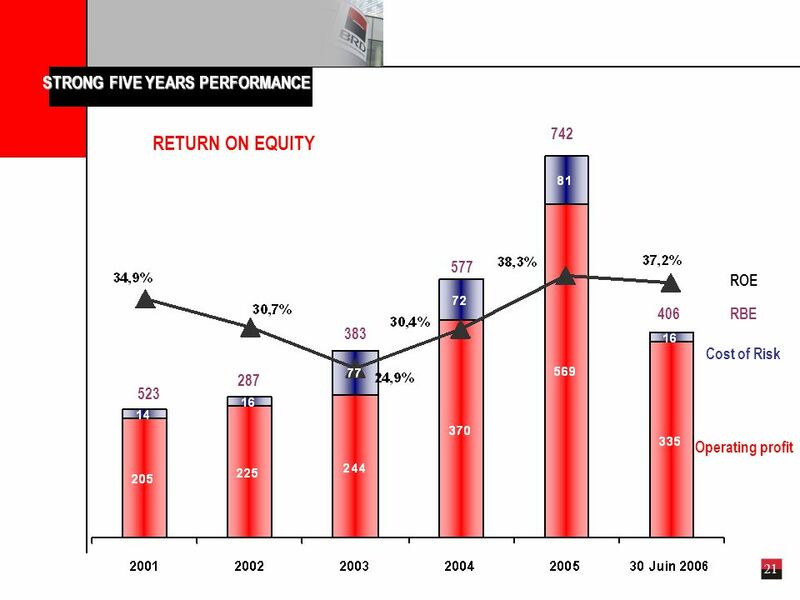 2 2 Overview BRD, the second largest bank in Romania, is part of the Societe Generale Group, one of the leading financial services provider in Europe (45,1 bln. 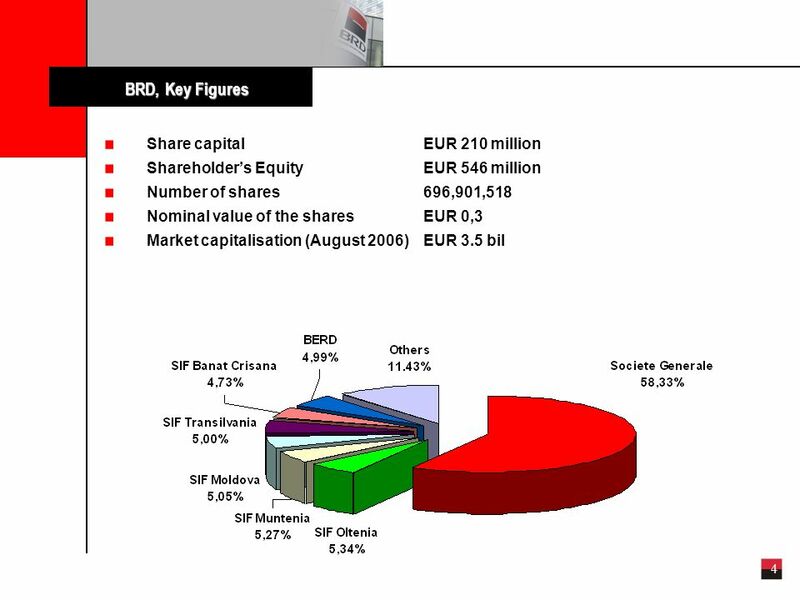 Euro market capitalization). 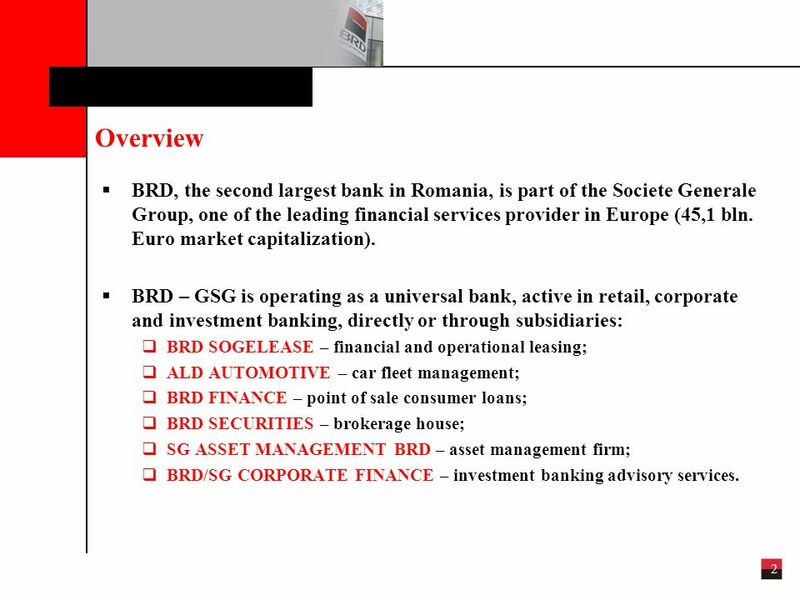 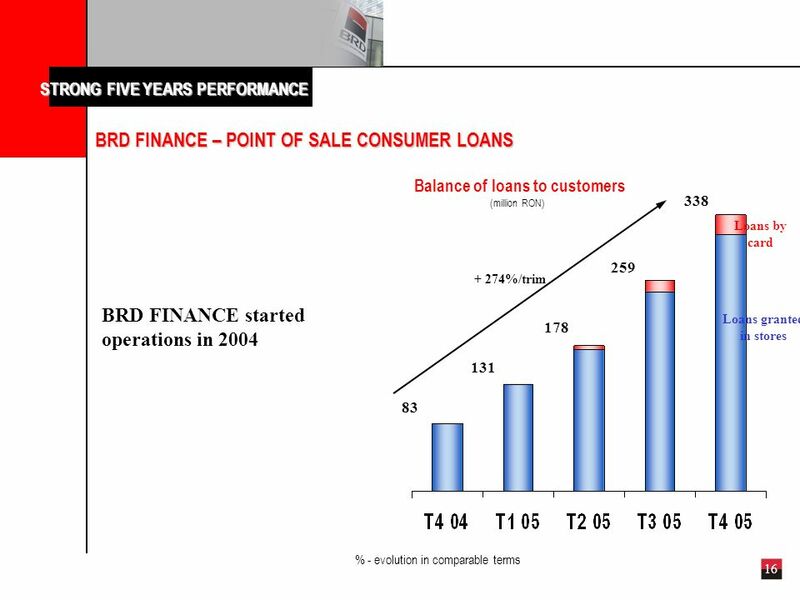 BRD – GSG is operating as a universal bank, active in retail, corporate and investment banking, directly or through subsidiaries: BRD SOGELEASE – financial and operational leasing; ALD AUTOMOTIVE – car fleet management; BRD FINANCE – point of sale consumer loans; BRD SECURITIES – brokerage house; SG ASSET MANAGEMENT BRD – asset management firm; BRD/SG CORPORATE FINANCE – investment banking advisory services. 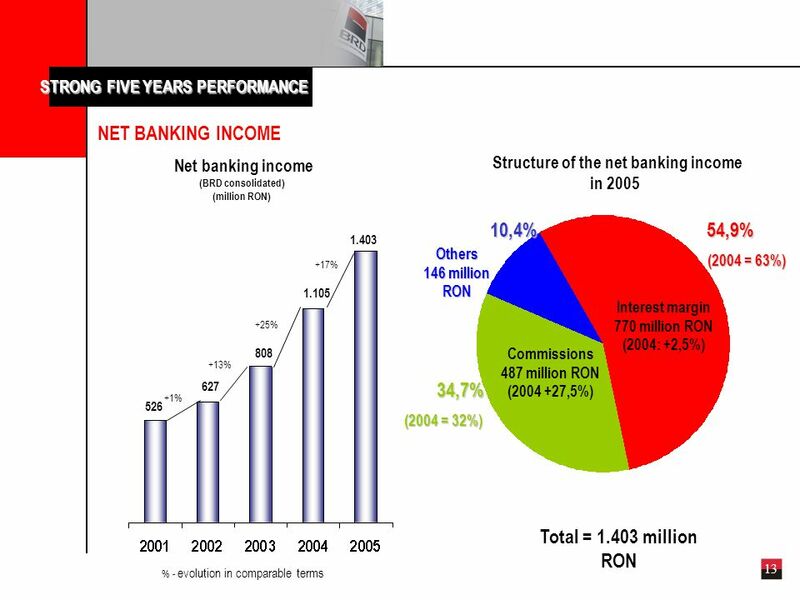 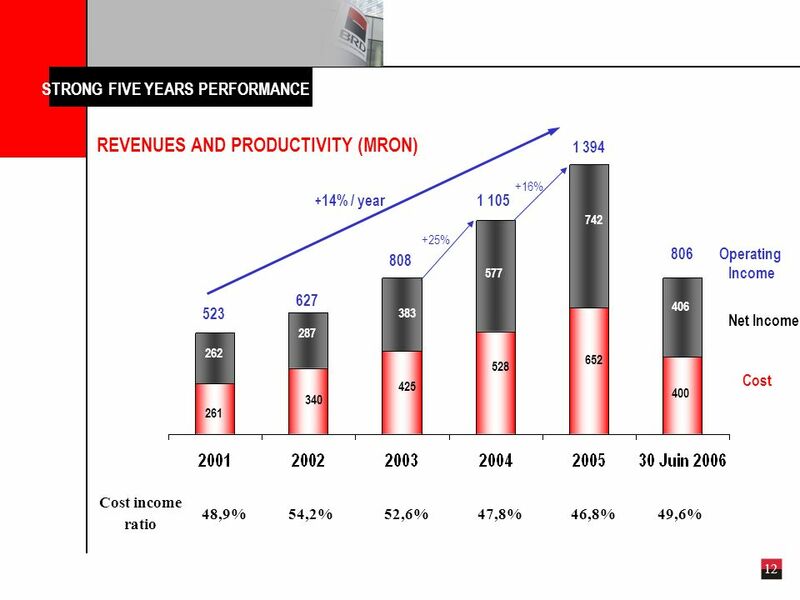 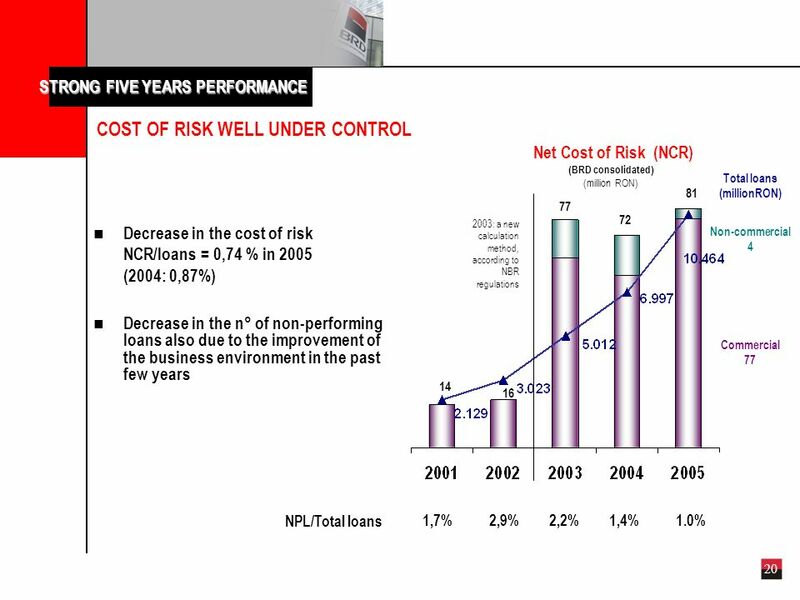 Download ppt "CA~IB Annual Emerging Europe Conference 5-6 October 2006, Istanbul." 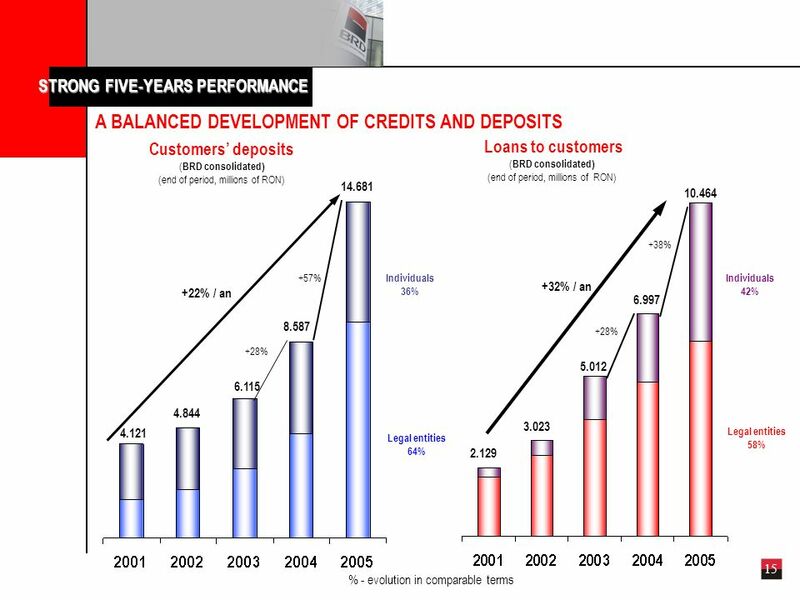 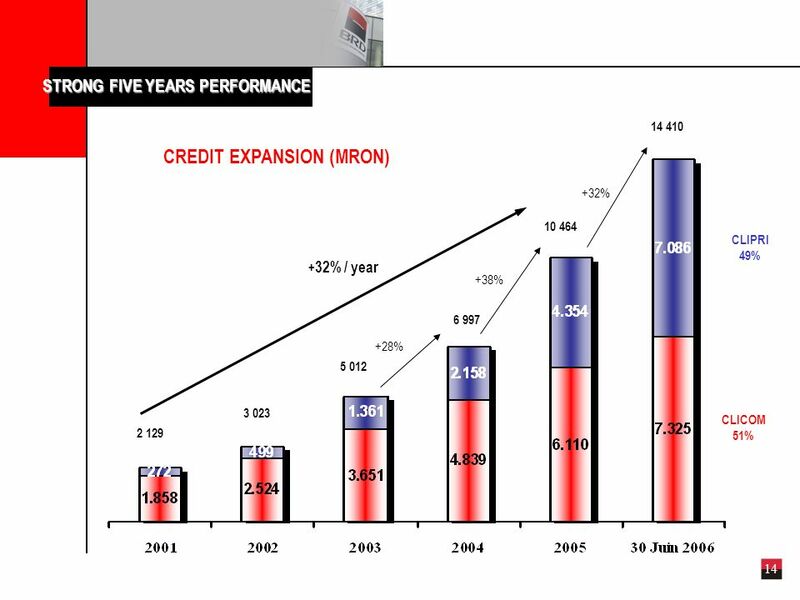 1 Growth of bank credit in central and eastern Europe: housing markets and the role of foreign-owned banks Dubravko Mihaljek Senior Economist Bank for.